Just a little flash on this manmade child's black boot. Silver toe rand on the tip is made into the sole, and a removable boot chain too. 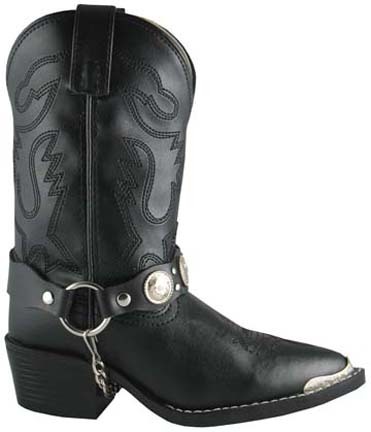 Good style for kids motorcycle boots, child's Western boots or just a nice cowboy boot to enjoy. This boot is called "Concho".